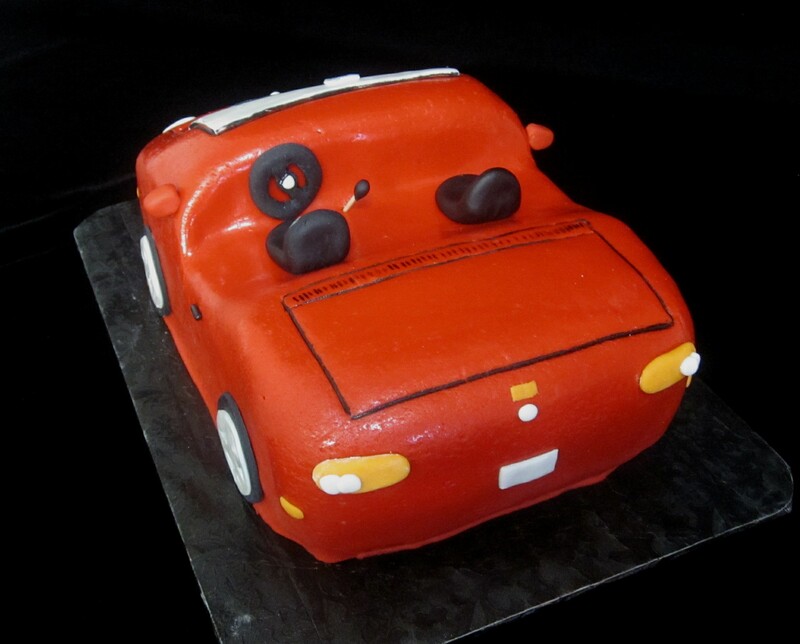 This holiday cake was created for a Christmas party in Danville, KY. 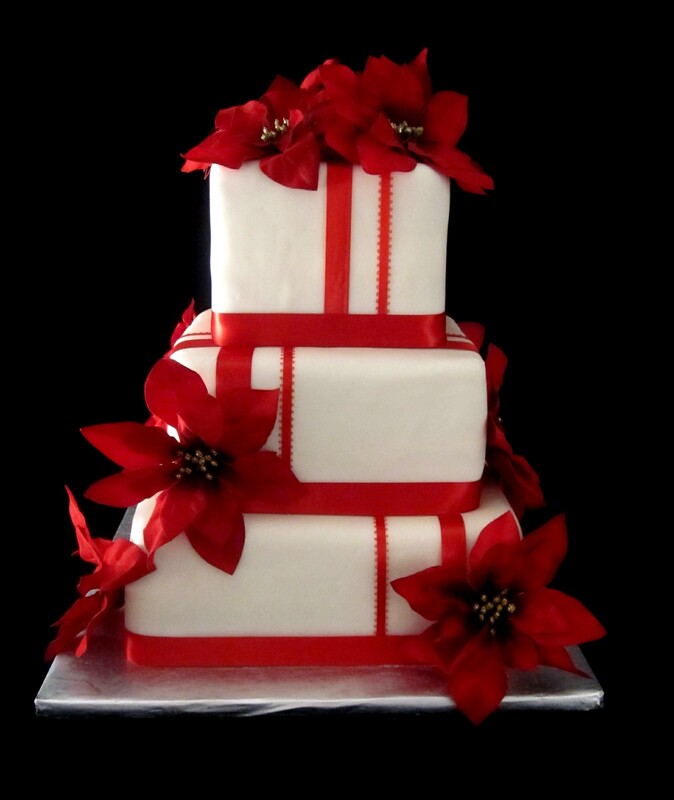 The cake is covered in white marshmallow fondant and decorated with red satin ribbon and silk poinsettias. The cake is 3 tiers of different flavors of cake and icing. 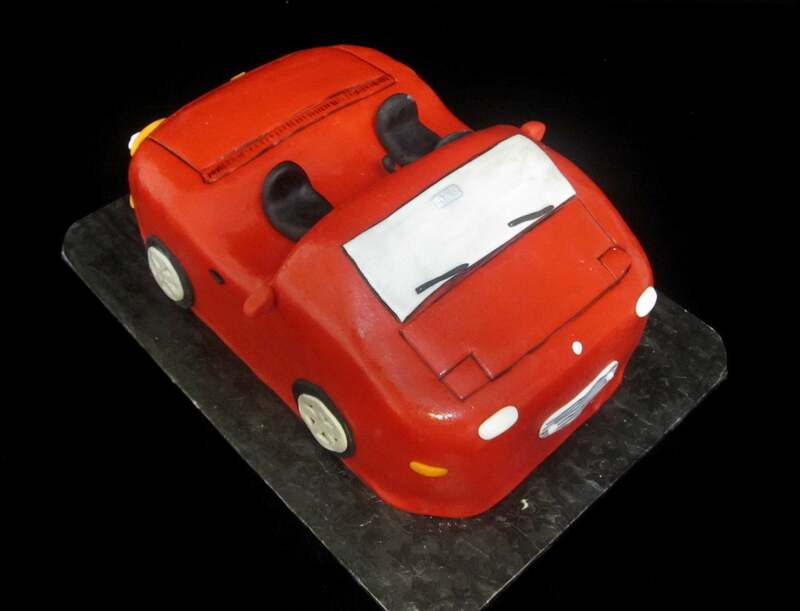 The Twisted Sifter Cake Shoppe is located at 128 Church Street in downtown Danville, KY. This wedding cake is covered in marshmallow fondant and embellished with fondant neon daisies. 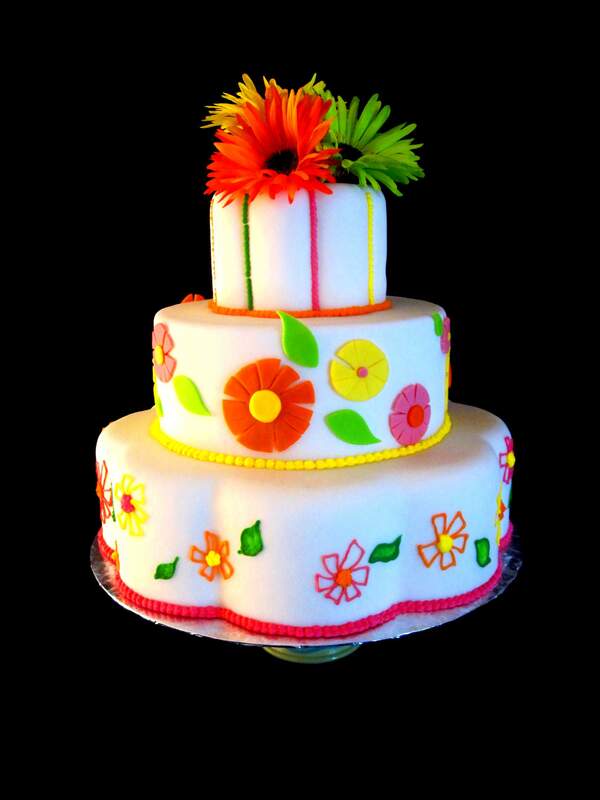 The silk daisies on the top of the cake are orange, hot pink and lime green. 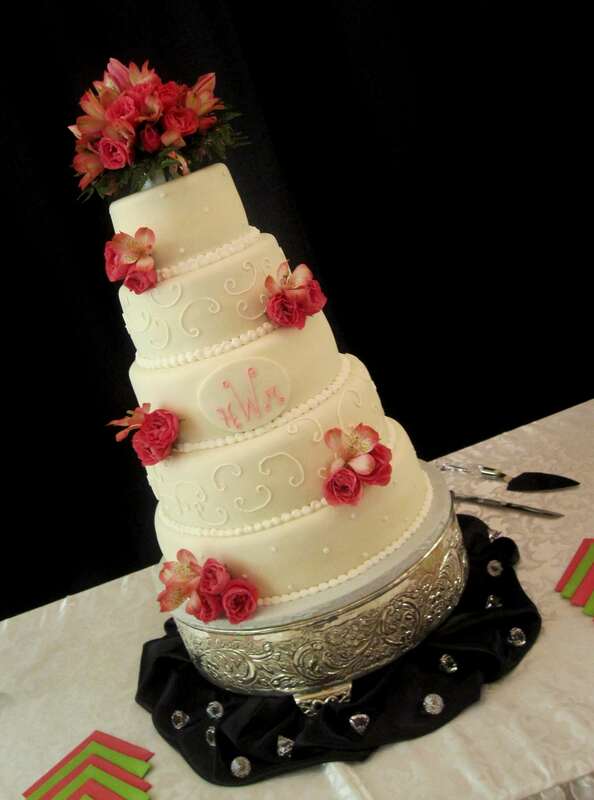 The tiers are round and petal shape cakes. 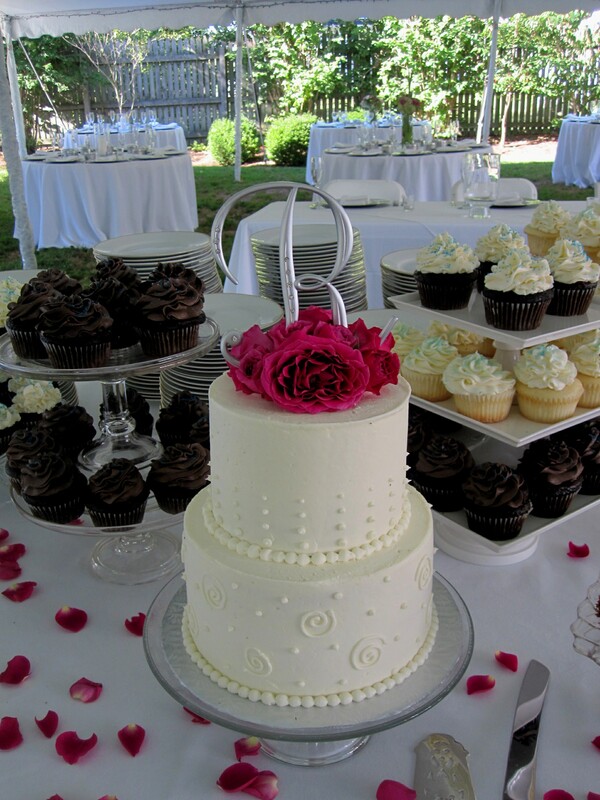 The 5 tier fondant covered white wedding cake was adorned with fresh pink flowers and the bride and groom’s monogram.